To celebrate two anniversaries this year StudioCanal are this month releasing the two 1960s Dalek films - Dr. Who and the Daleks and Daleks' Invasion Earth 2150 A.D. in honour of the centenary of their star Peter Cushing's birth and the 50th anniversary of the Doctor Who BBC series which spawned the two films. Both films have been extensively restored for their Blu-ray high definition debut. 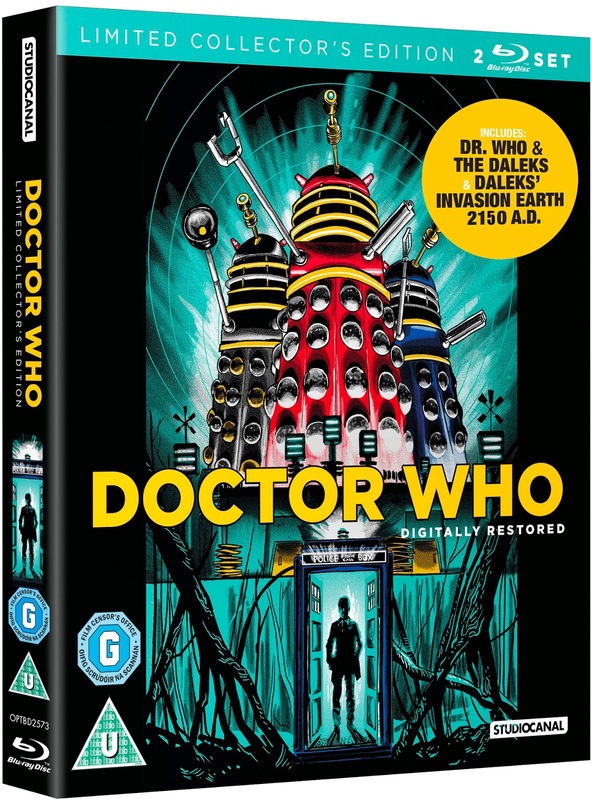 The two films, produced by Aaru Productions, emerged out of the 'Dalekmania' created by the BBC transmission of Terry Nation's seven-part Doctor Who story The Mutants (aka The Daleks) in December 1963 and its sequel The Dalek Invasion of Earth almost a year later in November 1964. The Daleks were an overnight success in 1963 and ´Dalekmania´, as it was known, was one of the first commercial merchandise booms generated by a TV series. At its peak in 1964, it incorporated everything from sweet cigarettes, games, play suits, clockwork and battery operated toys to the Dalek and Dalek World books co-written by Terry Nation and David Whitaker, soap, slippers, wallpaper and the Go-Go's Christmas 1964 novelty record single, the prophetic 'I'm Gonna Spend My Christmas With A Dalek'. Aaru Productions was formed by Joe Vegoda's Regal International Films to produce films in association with Milton Subotsky and Max J. Rosenberg's company Amicus. New Yorkers Subotsky and Rosenberg had originally established their own partnership with the production of Junior Science educational films made for American television and they had been involved with Eliot Hyman in the first negotiations with Hammer to remake Frankenstein from Subotsky's own script. While Subotsky was a hands on producer, writer and editor, Rosenberg, a financier and lawyer, was very much the silent partner in the company which would eventually become Amicus. After producing low budget rock 'n' roll films, Rock, Rock, Rock (1956) and Disc Jockey Jamboree (1957) and the exploitation social problem melodramas The Last Mile (1958) and Girl of the Night (1960), they turned their attention to horror after Hammer's The Curse of Frankenstein had revitalised interest in the genre in 1957. 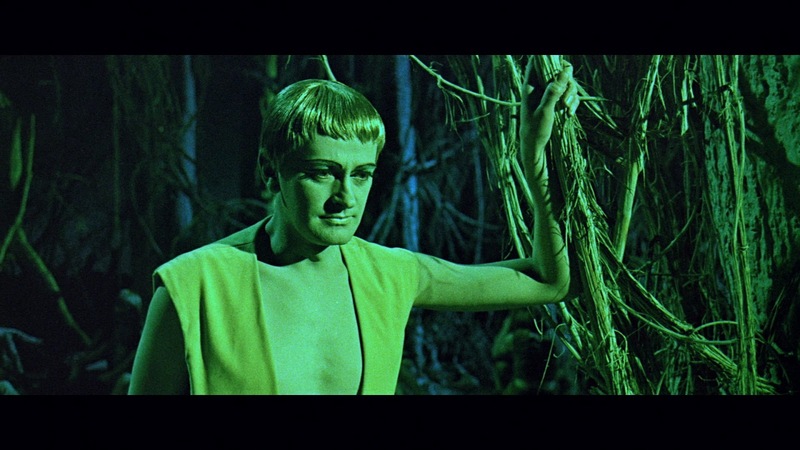 Subotsky decided to move to the UK and then produced contemporary witchcraft drama City of the Dead (1960) in association with Vulcan Productions. In 1961, he formed Amicus with Rosenberg and music publishers Franklin Boyd and Cyril Baker, leading to the production of Richard Lester's musical comedy It's Trad, Dad! (1962) featuring a variety of jazz and rock and roll acts and 1963's Just for Fun, a comedy featuring current musical acts, directed by Gordon Flemyng. Inspired by Ealing's ghost story anthology Dead of Night (1945), Subotsky sold the idea of a portmanteau horror film, in colour, to Paramount after Columbia rejected it as too costly. In May 1964, after two weeks shooting, lack of finance was causing problems and he and Rosenberg enlisted Regal Films International and its managing director Joe Vegoda to co-finance and distribute what would, at the time, be their biggest success, Dr. Terror's House of Horrors (1964). 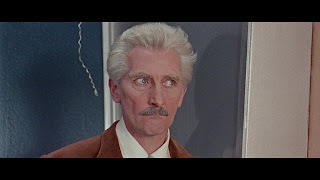 Subotsky also claimed a major coup by luring Hammer's dynamic double act Peter Cushing and Christopher Lee to lead the film, which also featured a number of musicians and comedians he'd previously worked with, including Roy Castle, DJ Alan Freeman, Kenny Lynch and jazz legend Tubby Hayes. Vegoda, aware of television's increasing dominance and how lucrative adapting small screen successes for the cinema had become since Hammer's well-received adaptations of The Quatermass Experiment (1955) and Quatermass II (1957), approached the BBC during the shooting of Dr. Terror's House of Horrors to secure the screen rights to Doctor Who. He was not alone in his thinking as Walt Disney had already approached the BBC in an attempt to secure the rights to the John Lucarotti serial Marco Polo. Attracted by the publicity for the series and the imminent return of writer Terry Nation's creations, he struck a deal with producer Verity Lambert and Nation, securing the rights to the characters and concepts of the seven-part serial The Mutants for one film and an option for a potential sequel for the princely sum of £500. 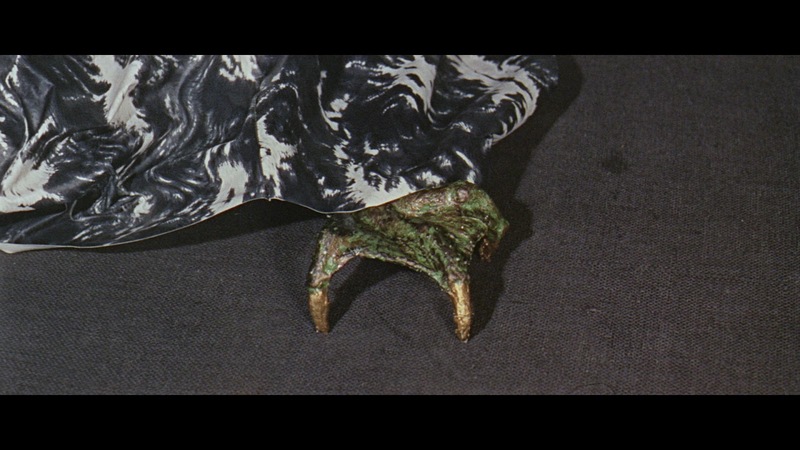 Bringing on board Subotsky and Rosenberg, Vegoda then suggested using his Aaru Productions to finance, make and distribute the film rather than associate it with Amicus's reputation for low budget adult horror. In November 1964, Kinematograph Weekly announced the production of Dr. Who and the Daleks as a 'science fiction comedy' starring Peter Cushing and Roy Castle. 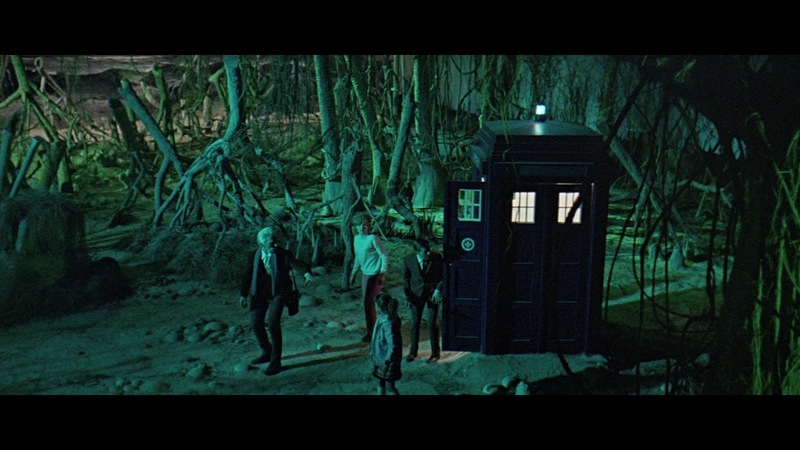 By the end of 1964, the production was already in its early stages and director Freddie Francis, who had just completed Dr. Terror's House of Horrors and was already directing another horror film for Amicus, The Skull, was being lined up to helm Dr. Who and the Daleks. With a projected budget of £180,000 and Cushing due to take on the titular role three weeks after the completion of The Skull, the film was finally scheduled to begin shooting at Shepperton Studios on 9 March 1965. Freddie Francis had been announced as director by Daily Cinema in January 1965 and he may have participated in some of the initial casting for the film. Ann Bell, who had appeared with Roy Castle and Cushing in Dr. Terror's House of Horrors was originally announced as playing Barbara alongside Castle as Ian. 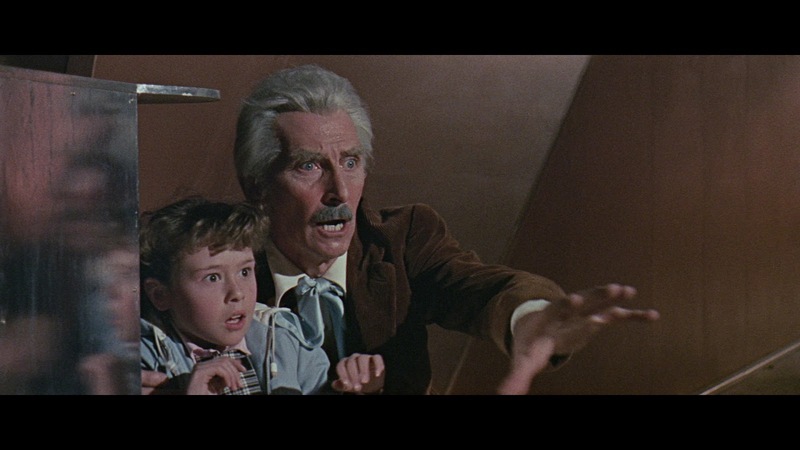 However, just prior to shooting, Francis had been replaced by Gordon Flemyng, another Amicus alumnus who had directed Just for Fun for them in 1963, and Bell had handed over to Flemyng's choice of Jennie Linden who had, ironically, made her first screen appearance in Francis' Nightmare (1964) for Hammer. Flemyng then cast the other roles and 11-year-old Robert Tovey was offered the part of Susan after she was screen tested reading Spike Milligan poems. This suited the style of family adventure Subotsky was aiming for in the script he had prepared, with some input from the television series' story editor David Whitaker, after Terry Nation indicated his unavailability to adapt his own serial for the big screen. The script also made changes to the original series' format: Dr. Who was now a homely, eccentric human scientist who invented TARDIS (not the TARDIS), Susan and Barbara were both now his granddaughters and Ian became Barbara's hapless boyfriend. Castle would also provide much of the slapstick comedy injected into the script by Subotsky. Shooting finally got under way at Shepperton on 12 March 1965 on elaborate sets created by Bill Constable. Some of the first scenes to be shot were on his very effective sets built to represent the petrified forest of Skaro which took up 29,750 feet of space on Stage H, then one of Europe's biggest stages. Flemyng and his director of photography John Wilcox used a combination of bold coloured lighting and anamorphic lenses to suggest the unearthliness of the forest. Stage H also housed the swamp sets and the caves leading into the Dalek city. These sets also incorporated the Thal's forest camp and along with actors Barrie Ingham, Geoffrey Toone, Michael Coles and Yvonne Antrobus as the blonde, pacifist Thals their ranks were swelled by 30 extras, including stuntmen, male models and Covent Garden porters chosen for their muscular physique. 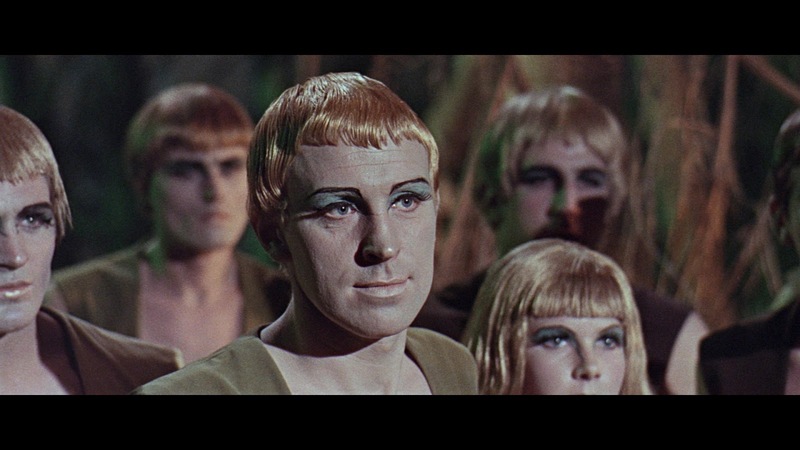 Many of them demanded extra money when they were told to shave their chests and arms in order to facilitate their transformation, via body paint, ornate make-up and blonde wigs, into the beautiful people of Skaro. 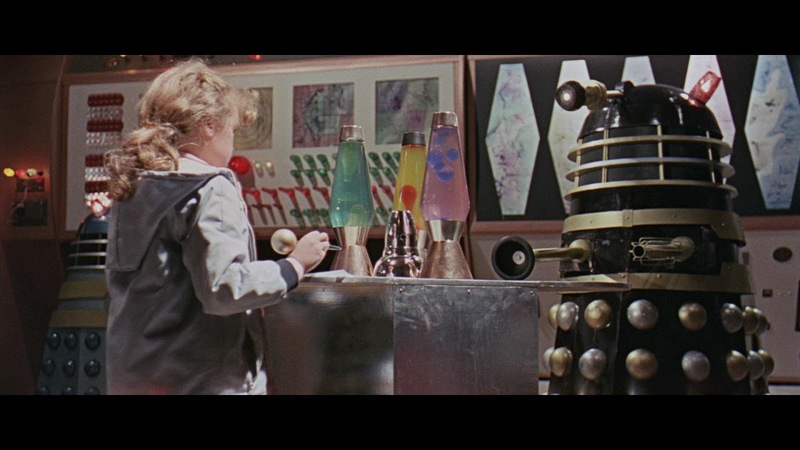 That splendour also came at a cost and the Dalek control room, incorporating a large back projection screen, a rotating series of panels featuring hired-in electronic equipment, smaller screens which showed stock footage of bubbles and flowers, and conspicuous set decoration using lava lamps added an additional £2,500 to the production bill for the Dalek city. The Dalek props were also a major expense. 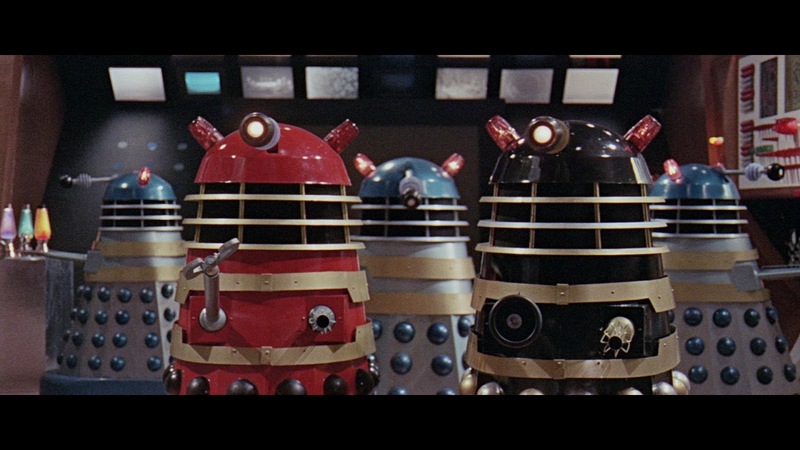 The television series' production team provided Subotsky with technical drawings of the Daleks, designed by Ray Cusick and built for the show by Shawcraft, the props and visual effects company based in Uxbridge. Aaru approached Shawcraft to build eight new, fully operational 'hero' Dalek props at a cost of £350 each and, following Gordon Flemyng's desire for more colour and spectacle, they were provided with large fenders, large orange lights on their domes, some were given pincers rather than plungers and they sported a range of colourful paint schemes. The Dalek leader was given a black, gold and silver livery, a red Dalek was trimmmed in black and gold and the others given a blue and gold look. 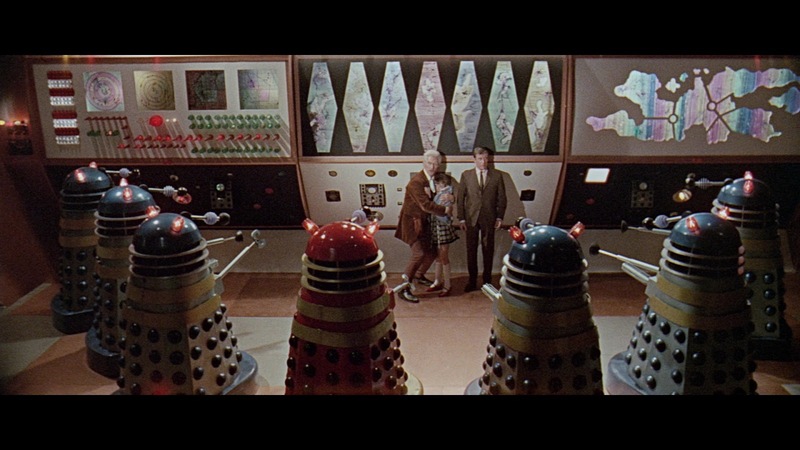 For several crowd scenes and the spectacular destruction of the Dalek control room, the Shepperton plaster shop built an additional ten 'dummy' Daleks out of fibreglass, not requiring an operator inside but with fully-poseable limbs and flashing lights. The original intention was for the 'hero' props to utilise flame throwers but this idea was nipped in the bud for a number of reasons. 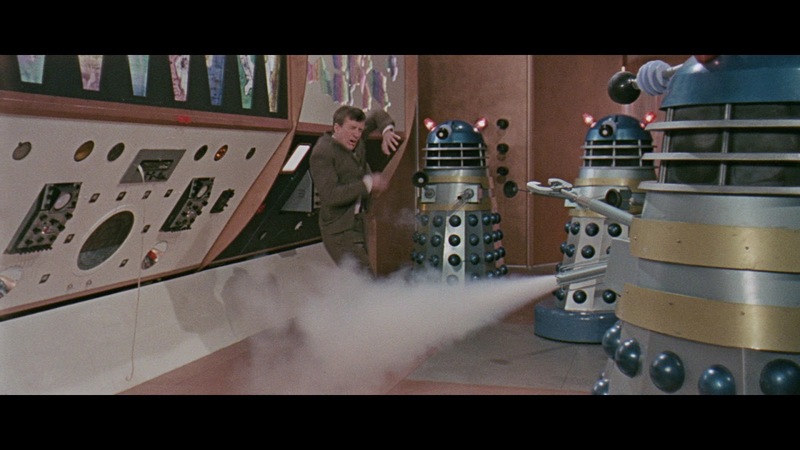 Subotsky claimed that the BBFC's John Trevelyan advised against using flames if Aaru anted to secure their U certificate for the film while director Gordon Flemyng opted for the solution of using fire extinguishers for the Dalek guns simply because it would have been too expensive optically to incorporate rays or similar effects. Depicting the innards of a Dalek also raised issues with the BBFC. 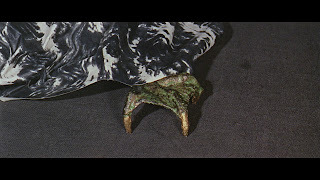 A Dalek mutant was constructed by the effects department and technician Allan Bryce recalled: 'We made a green, writhing, ukky thing for the inside of the Dalek. Somebody was underneath the creature with their hands inside it, making it writhe. I think it was the editor's decision to cut that... that was an example of the sort of thing you couldn't show in a U certificate film.' Flemyng also corroborated this in his early discussions with the censor about how much of the mutant the film would be allowed to show. 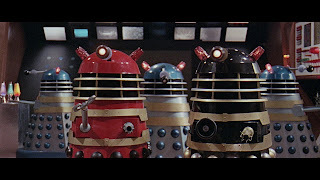 Robert Jewell, Gerald Taylor and Kevin Manser, experienced Dalek operators who had worked on the BBC series were hired, much to Aaru's chagrin at having to spend more money than was necessary for their skills, to operate the 'hero' props and Jewell was paid an extra fee to train new operators. 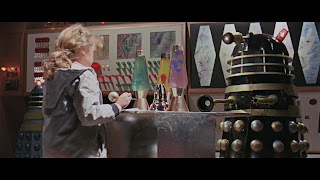 When Subotsky started to edit the film he was suddenly aware that Flemyng hadn't realised the Daleks' dome lights were intended to flash in synchronisation with their speech, provided by the voices of Peter Hawkins and David Graham via ring modulator. Subotsky was left with a complex editing job where he had to rewrite dialogue during the overdubbing to try and match the sequences of dome lights, leading to some very stilted Dalek exposition in the film. 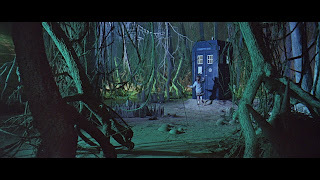 From filming on the forest sets and Dalek city sets, where the actors and extras had to negotiate the slippery fibreglass slopes leading up to the Dalek city, Ingham amused cast and crew by supplementing Alydon's rousing speech with a rendition from Henry V and Roberta Tovey earned herself a shilling from Flemyng for each first take she completed without error and the moniker 'One-Take Tovey', the schedule then moved on to completing the swamp scenes where the visual effects crew attempted to shoot the tentacle of a mutant which drowned the Thal Elydon. This was abandoned and reshot without showing the mutant. 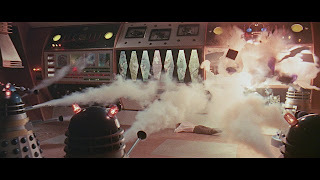 The climax in the Dalek control room, where their entire command post explodes, was handled by Ted Samuels and his team, including Allan Bryce. They recreated eight of the wall panels and triggered explosions using fireworks and charges with a series of rubber bands hurling wooden balls at the panels to shatter them as the charges went off. Once these scenes were completed, Flemyng then moved on to shoot all of the Earth-based opening of the film, including Bill Constable's radical revisioning of the TARDIS interior which bore no resemblance to the television version. However, Roberta Tovey and Jennie Linden recall shooting the opening of the film first in the schedule so there may be some ambiguity about the order in which the film was shot. Seven days over schedule, the film completed shooting on 23 April 1965. 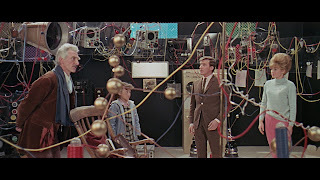 Subtoksky was already talking to Cushing and Tovey about a sequel when filming came to an end and a number of publicity drives were already in place. Twelve of the Dalek props popped over to Cannes to promote the film and two props were loaned to the BBC as the end of the film's schedule neatly overlapped with the recording of the latest television adventure featuring the Daleks, The Chase. Dr. Who and the Daleks secured its U certificate on 16 June 1965 and the press screening took place on 22 June. Many of the sets were reconfigured for a 'Dalek City' tour which promoted the film in Manchester and Birmingham in July and displays were also mounted in Selfridges, London and in the Liverpool branch of Lewis' during August. Mixed reviews greeted its general release on 25 June with The People enthusing, 'The kids will love it... their parents will find this gigantic schoolboy lark Dalektable' whereas Daily Cinema declared the script was 'juvenile and the direction uninspired' and The Daily Worker attacked the film for its 'Blimpish militarism'. It was a box office hit, perfect summer holiday film viewing, with British Lion reporting the best takings for any film they had previously distributed. A huge merchandising and promotional push ensured that by the end of 1965 it was one of the top 20 box office earners for the year and successful enough to generate a sequel. 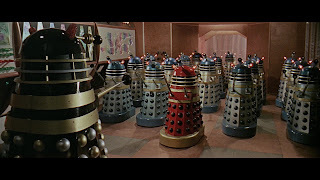 Most fans of my generation were probably too young to see Dr. Who and the Daleks on the big screen (I was only two at the time) but for many this really was the first opportunity to see the Daleks in colour on the big screen. For those of us who missed it in 1965, television screenings in 1972 and 1974 introduced us to this very different form of Doctor Who. They offer an indication of how the original television text could be transformed by other media, Subotsky and Flemyng fulfilling their promise by making Dr. Who and the Daleks bold and colourful, where the Techniscope and Technicolor format utterly transforms the black and white terrors of the small screen into a pure slice of 1960s exploitation. 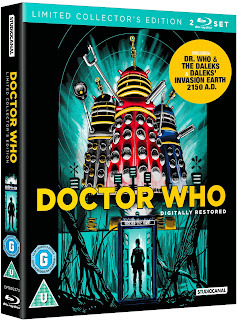 The film also reminds us just how pervasive 'Dalekmania' was in the 1960s, a golden period which sealed the success of Doctor Who through an overwhelming merchandising profile and one which wouldn't be repeated, arguably, until the return of the series to the small screen in 2005. After a suitably 1960s title sequence, all shimmering and shifting primary colours, it begins in a wonderfully tongue-in-cheek manner with Flemyng's close up of Susan and Barbara reading heavy science books which then pans to Dr. Who indulging in the comic strip adventures of Eagle. There's a sense here of Cushing's own childlike glee and Subotsky's transformation of the grim elements of Nation's script into a more family-friendly adventure. 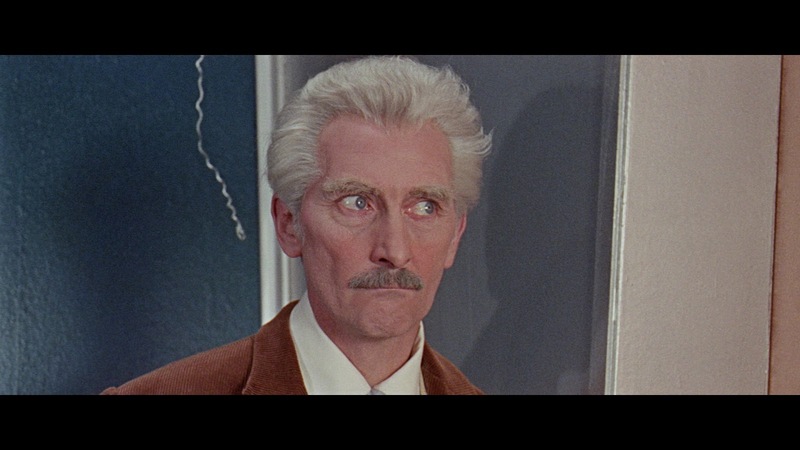 The emphasis is on fun and Flemyng gets a very twinkly performance from Cushing, often quite an understated one, and very different from the curmudgeonly, abrasive television Doctor played by William Hartnell. The spectacle is also leavened with some trade mark buffoonery from Roy Castle, again a version of Ian in direct contrast to the heroic school teacher of the original, with plenty of falling over and bumping into doors injected into the film as ad-libs from Castle. 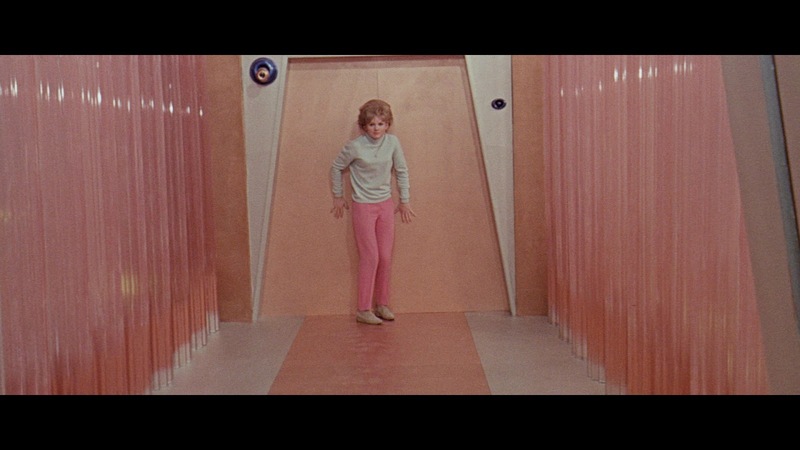 The major attractions here are colour and spectacle and Flemyng's use of the widescreen frame. 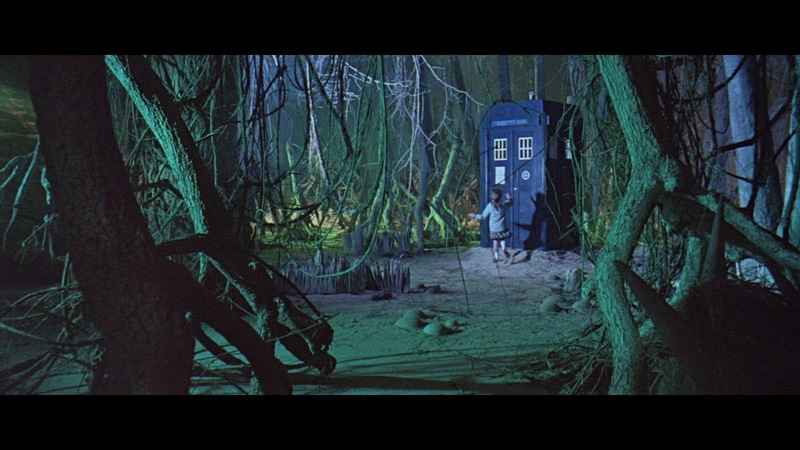 When TARDIS lands on Skaro, he captialises on the vast forest set and gets an enormous sense of scale and colour. He uses well designed long shots, overhead shots and some striking low angle shots of the Daleks and the outskirts of the Dalek city and shoots through objects, trees and parts of Daleks. He even gets some cracking hand held shots in here and there - Susan's journey back to the TARDIS from the Dalek city - and some unusual point of view shots - a big close up of Ian bathing his face in the swap taken from under the water. 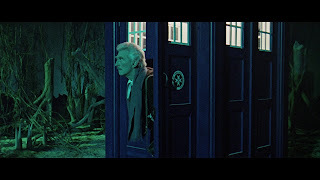 On that score, the film remains visually pleasing and attractive, as a magical side-step in the Doctor Who canon that still provides unsophisticated, big screen family adventure par excellence. 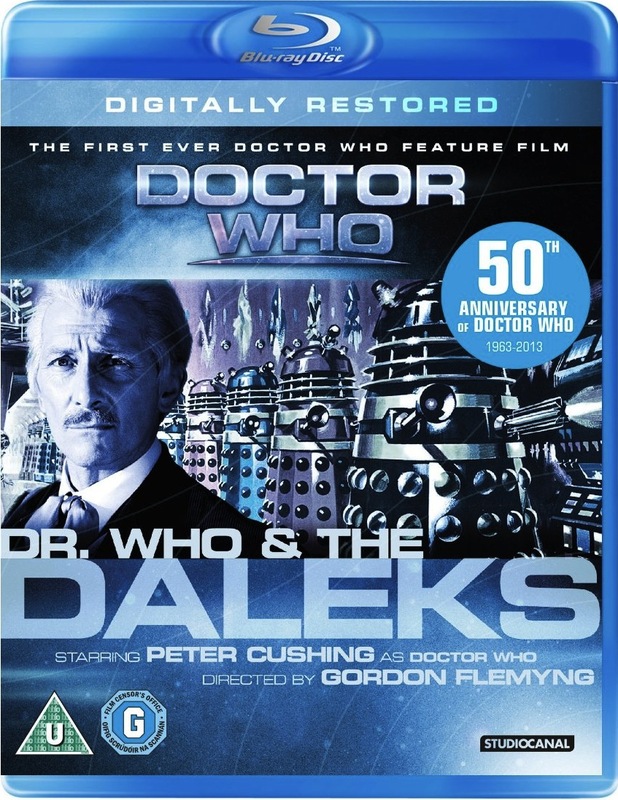 It may lack the grittiness of the original serial, downplaying its emphasis on the Daleks' obsession with racial purity and dedication to a policy of genocide in favour of the quest narrative, a basic treatise on good and evil and the nature of heroism, but it more than makes up for that with Subotsky's notion of 'splendour'. 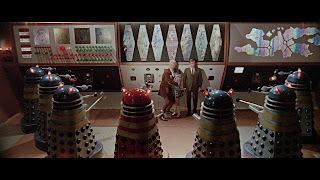 The era's anxieties about the nuclear age may be submerged but the Daleks have never really looked better, bursting onto the screen as true 1960s icons, and only recently has the television series captured a fraction of their scale and colour as seen in these cinema incarnations. Techniscope was often regarded as a cheaper widescreen format and it can look quite grainy and soft when it comes to DVD presentation. This looks pretty good and retains the appropriate grain while also providing good levels of contrast and detail. 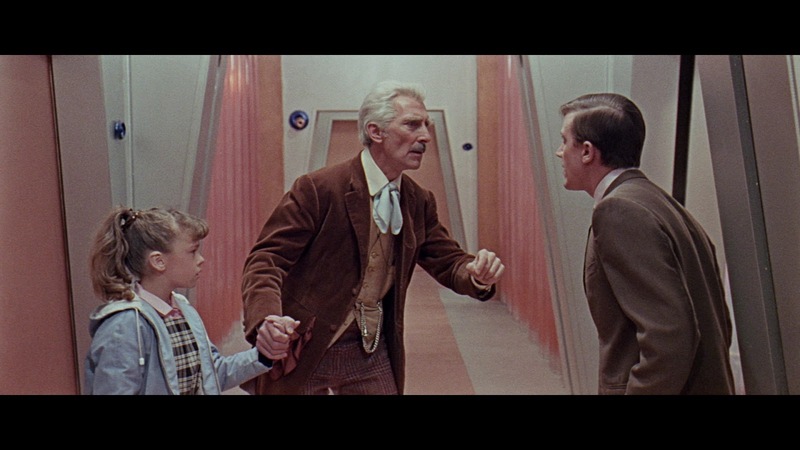 Colour is particularly well rendered and costumes such as Barbara's salmon coloured ski pants, Cushing's brown jacket and Susan's light blue anorak benefit greatly from the grade. 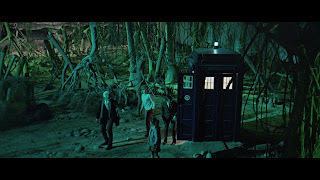 The sets also look great and the petrified forest, lit in vibrant greens and blues, and the Dalek city's schemes of gold, copper and silver are very well represented. 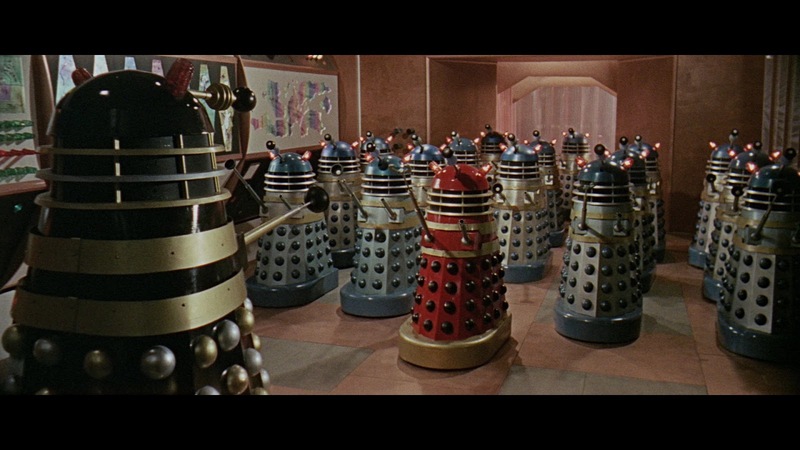 Best of all, the Daleks look tremendous, full of detail and colour. A very pleasant viewing experience which emphasises Gordon Flemyng's visual sensibilities for composing in widescreen. The LPCM 2.0 mono soundtrack handles dialogue, sound effects and Malcolm Lockyer's swing inflected music with great clarity and there is very little evidence of drop outs or crackles and pops. Jennie Linden and Roberta Tovey reminisce about working on the film with author Jonathan Sothcott in this track from 2002 and featured on the original DVD release. 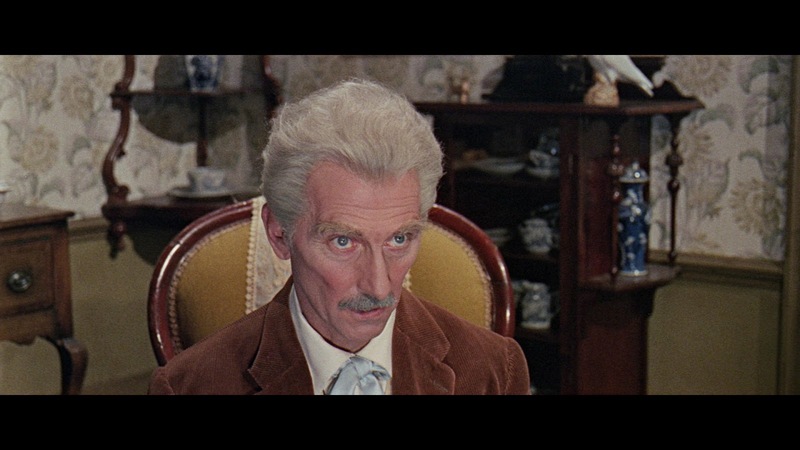 Plenty of lovely anecdotes and warm memories about working with Peter Cushing and Roy Castle with the two actresses recalling Castle's restless creativity and Cushing's generosity and charm. Linden cites her close friendship with Cushing and his wife Helen and her regular visits to them in Whitstable. They both recount Cushing's fondness for toys and models and his talents as an artist. From discussion the search for the reality in the make believe of the film, the two actresses then continue at length about various scenes in the film, recalling the budget limitations, differences to the television programme, the sets and costumes and lots of running! Well worth a listen. Fantastic documentary made for direct-to-video release by Lumiere in 1995 by Kevin Davies (The Making of Hitch-Hiker's Guide to the Galaxy and More Than Thirty Years in the TARDIS). 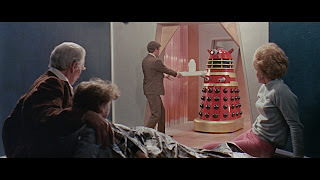 This intersperses clips from the films and interviews with the cast into a retro framing story of two children going to the cinema to watch the two Dalek films under the gaze of a cinema commissionaire played by one Michael Wisher. You'll hear from Dr. Who's granddaughters and niece Roberta Tovey, Jennie Linden and Jill Curzon, Thal actors Barrie Ingham and Yvonne Antrobus who all provide smashing personal anecdotes about making the films. Adding further background to the making of the films are Hammer historian Marcus Hearn and he is joined by, the then editor of Doctor Who Magazine, Gary Gillatt to recall the impact the Daleks had on the series and how, through the films, they became a huge phenomenon. 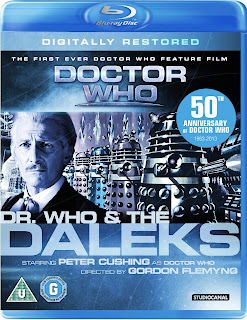 This also features archive interviews with Dalek creator Terry Nation, plenty of fond recollection from the cast about working with Peter Cushing and Roy Castle to both of whom the documentary is dedicated. At the time this was released, the films were about to get their first VHS release in widescreen so this does now come across as something of an archive piece. A pity it couldn't be updated. A look at how the film was digitally restored for this set. Film and television historian Marcus Hearn returns to provide some background to the shooting of the film in Techniscope and Technicolor and Subotksy's adaptation of the original Nation story. Jo Botting, BFI curator, explains the development and drawbacks of Techniscope as a widescreen format. We then pop over to Deluxe and get an insight into how the restoration was achieved from a 35mm anamorphic interpositive dating back to 1969. Steve Bearman, Tom Barrett and Ian Pickford of Deluxe also discuss the grading of the film, the clean up and stabilising of the image and the restoration of the optical soundtrack. Owen, author of The Shepperton Story, tells us much about the making of the film but it's a shame he has to trot out the 'wobby scenery, wobbly acting' redundant fallacy about the television series. Apart from that, some interesting stories about Vegoda, Amicus, the formation of Aaru, the impact of 'Dalekmania' and how the Daleks were built for the film (which he attributes entirely to effects man Bert Luxford when Shawcraft built the eight 'hero' Daleks and Luxford likely oversaw the making of the 'dummy' versions at Shepperton). A decent but limited selection of material including black and white publicity shots, a set of lobby cards and the campaign book. Enter the world of the Daleks because now they're 'closer then ever before' and 'so close you can feel their fire'.